Operators are choosing to drill simpler and shallower wells. On average, offshore exploration wells were drilled three weeks faster in 2016 than in 2013. 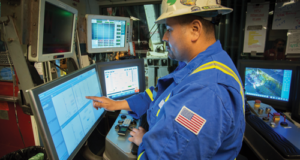 Both operators and contractors are considering ways to reduce headcount on rigs through the integration of services and by moving more jobs to shore. However, the compensation structure for offshore services must be reexamined. Further sustainable cost reductions are needed for offshore to compete with unconventionals. Signs of recovery – even if only slight – are afoot in the offshore drilling industry. Companies have learned to do more with less, with exploration drilling costs falling by 50% and development drilling costs falling by 30% over the past two years, according to Wood Mackenzie. In fact, the company forecasts that the number of offshore exploration wells drilled is expected to increase by about 14% this year, going from 215 drilled in 2016 to 250 in 2017. Rig dayrates remain low, however. Many floaters and jackups – if they are working at all – are earning less than 50% of what they were making pre-downturn. “There’s no doubt that rig rates are still strained, and that is a big part of the story, but the performance improvements and improved economics of well designs are also big reasons for the expected increase in offshore exploration activity,” said Dr Andrew Latham, Vice President of Exploration at Wood Mackenzie. 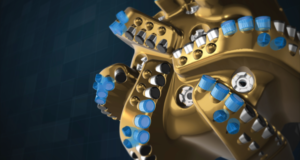 Odfjell Drilling’s Deepsea Atlantic semisubmersible drills for Statoil on the Johan Sverdrup field in the North Sea. By focusing on increasing its drilling efficiency, the operator was able to drill 394 ft/day in 2016 compared with 246 ft/day in 2013. This efficiency gain has allowed Statoil to drill more wells even as the company has reduced its rig capacity by 30% over the past three years. Statoil delivered 119 wells in 2016 and expects to deliver a similar number of wells this year. Photo Courtesy of Statoil. Full-cycle returns on exploration wells are expected to reach an average of 11% per well – up from only 3% in 2014, Dr Latham said. “We calculate this by modeling the cost of the exploration well versus the value of the discovery and the cost of developing the discovery. The lower the post-tax cost of the well, the higher the return of the well can be.” If the drilling industry continues to transform itself into a leaner enterprise, he added, it could reach full-cycle returns up to 15% per well by 2020. One of the most important ways in which well designs are contributing to better performance and lower cost is simplification. Many operators are opting to drill shallower wells. The average total depth of an offshore exploration well was approximately 11,150 ft (3,400 m) in 2016, down from an average 13,450 ft (4,100 m) in 2013. Other examples of simplification include less coring, less sidetracking, and less sophisticated logging and data gathering programs. The result is offshore exploration wells are now being drilled approximately three weeks faster – 55 days in 2016 compared with 75 days in 2013. The high-grading of rig fleets has also helped in this achievement, he noted, because operators are able to hire the best drilling rigs with the best equipment and the highest-performing crews. “With so much of the drilling fleet idle, operators are clearly going to be using the more capable end of the fleet,” he said. 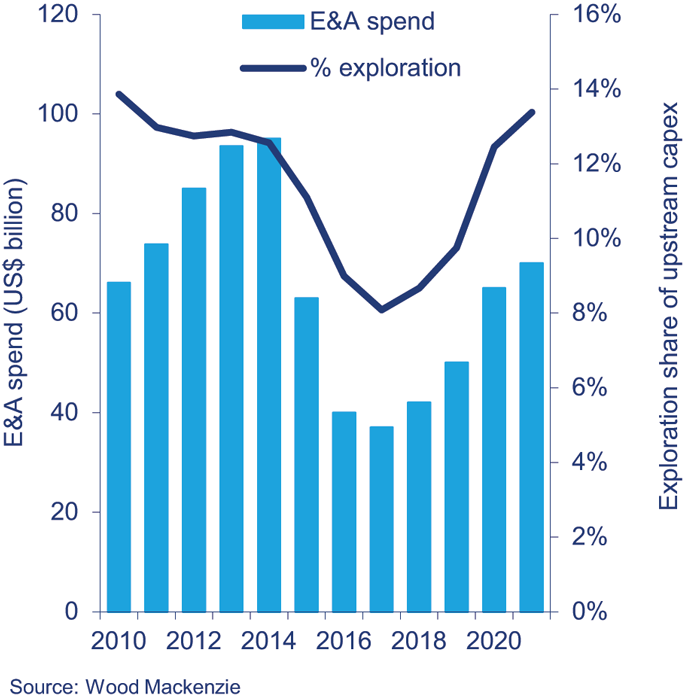 Wood Mackenzie is forecasting that offshore E&A spending will begin to increase again in 2018, after three years of decline. The firm also expects operators to devote a greater percentage of their upstream CAPEX to exploration. 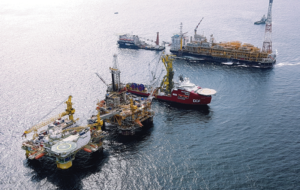 Statoil is aggressively examining all aspects of its business to reduce costs. In drilling, the operator has been able to increase its efficiency so that it was able to drill 394 ft/day (120 m/day) in 2016, compared with 246 ft/day (75 m/day) in 2013. 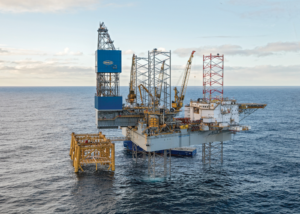 This efficiency gain has allowed Statoil to drill more wells even as the company has reduced its rig capacity by 30% over the past three years. In 2016, Statoil delivered 119 wells, including multilateral wells – which is six more than the planned 113. For 2017, the company expects to deliver approximately the same number of wells – but likely on a slightly tighter drilling budget than in 2016, which was approximately $6.5 billion (NOK 56 billion). 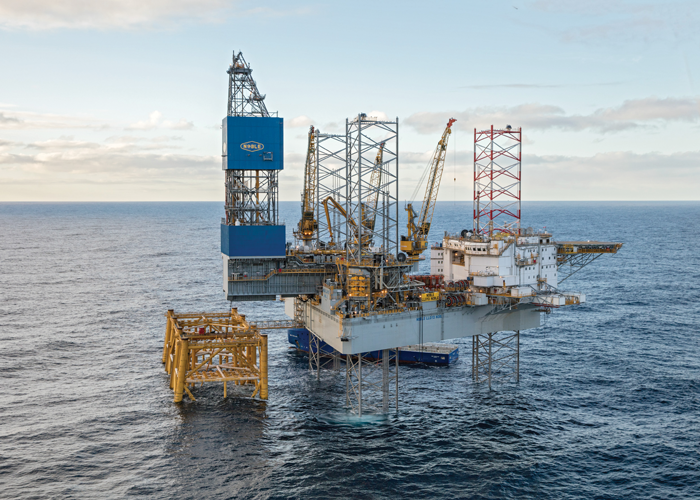 The Askeladden Cat J rig was built to drill for Statoil in the North Sea. 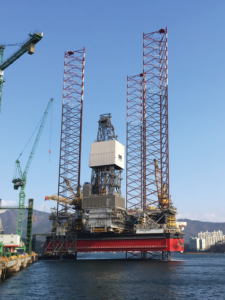 The operator is moving toward more integration of services and having fewer service companies onboard the rig. For example, the drilling contractor could take responsibility for things like casing running and mud treatment. 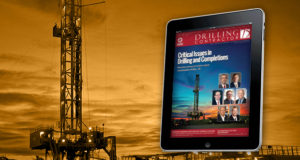 However, in order to support such operational and logistical changes, the dayrate model for drilling rigs must be examined and possibly changed. Photo Courtesy of Statoil. 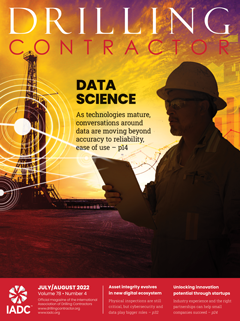 In some cases, work can also be transferred from third-party service companies to drilling contractors. “We need oilfield services crews for specialty jobs, like mixing cement or fine-tuning electronics, but some things can be transferred to rig crews. For example, things that need to be moved, plugged in, screwed together, hoisted, lowered – you don’t need extra oilfield services people onboard to do those things,” Mr Haaland said. He suggested transitioning to a combination of dayrates and a meter rate, versus using just a basic dayrate formula. 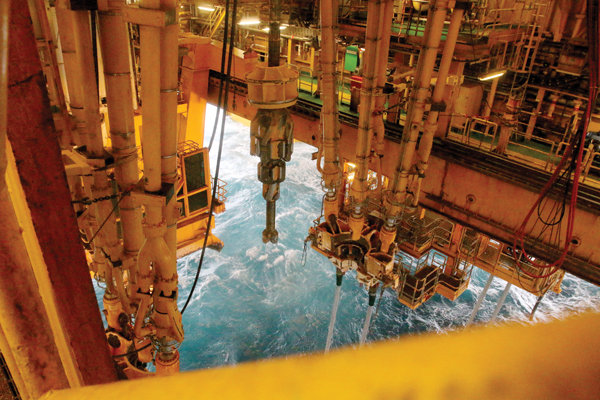 Noble Drilling’s Lloyd Noble jackup drills for Statoil off the coast of the UK. It is under contract until November 2020. 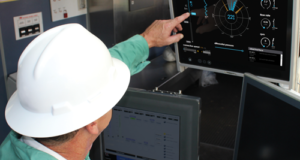 In 2017, Noble launched OneSite – a wellsite integration initiative under which the company takes responsibility for services that have traditionally been completed by oilfield service companies. These services may include drilled cuttings treatment, mud logging and data transmission. 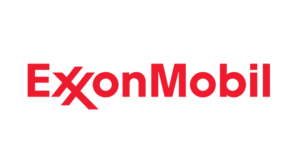 Noble is currently looking for an operator partner and hopes to implement this initiative on a rig within six months. “There’s a myriad of companies that work at a modern well site, and a lot of those people are doing tasks on a callout basis that we could easily provide within our work scope by simply adding a few bits of equipment or utilizing new, emergent technologies,” he said. 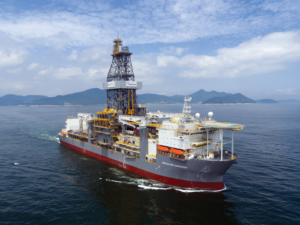 Noble’s Bob Douglas drillship drills for Anadarko in the US Gulf of Mexico. Since the start of 2015, Noble has retired five semisubmersibles, one jackup and one drillship. 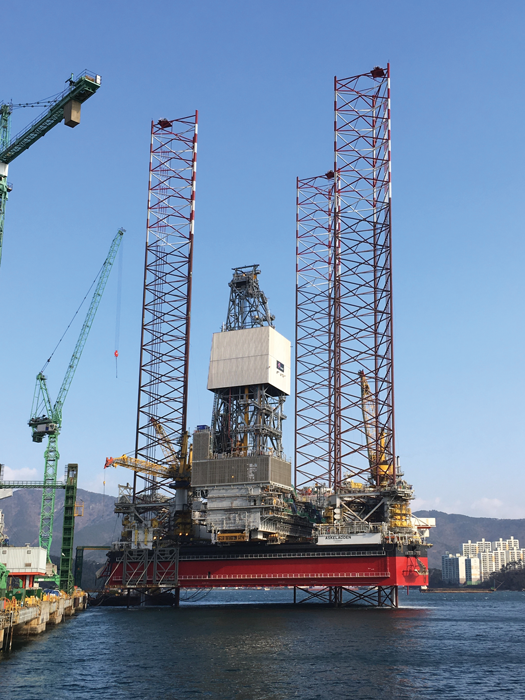 Driving out inefficiency is increasingly important for offshore drilling contractors, as new fixtures on rigs around the world approach operating cost levels. Dayrates for all rig types were halved between 2014 to 2016, and Mr Johnson said he expects no improvements in 2017. Dayrates in 2016 averaged $124,470 for Noble’s 14 jackups, $166,253 for its six semisubmersibles and $474,462 for its eight drillships. 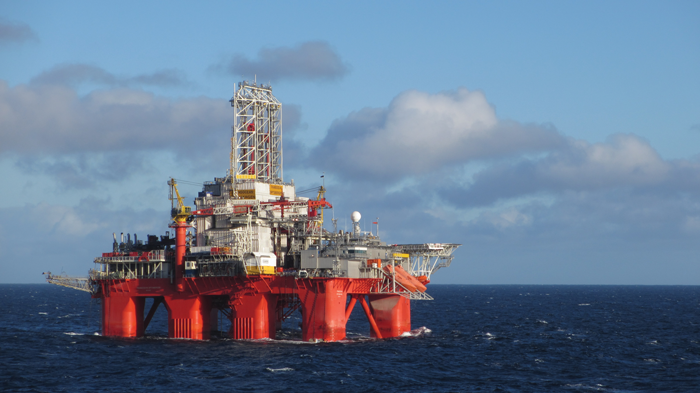 The Transocean Spitsbergen was recently awarded two contracts by Statoil. The first is for three exploration wells in the UK North Sea, followed by a six-well production drilling campaign for the Aasta Hansteen licence in the Norwegian North Sea. In the current energy landscape, offshore drillers recognize that they are no longer competing only with other offshore drillers. They’re now competing with onshore unconventional shale, and they must find ways to sustainably increase offshore drilling efficiency. 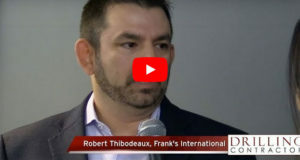 “If we can do that, it will encourage our customers to provide funding and investment into more offshore opportunities,” said Terry Bonno, Senior Vice President, Industry and Community Relations at Transocean. She estimates that the offshore industry will need to push breakeven levels well below $50/bbl to compete with shale projects. 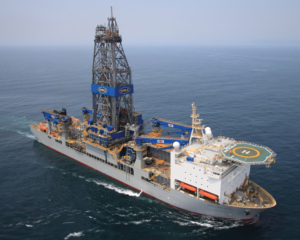 The Transocean Conqueror ultra-deepwater drillship began a contract with Chevron in the US Gulf of Mexico in Q4 2016, which is set to end in Q4 2021. Transocean estimates that approximately half of offshore cost reductions that have been realized since 2014 are sustainable. To address the other half, the company is undertaking various strategies aimed at retaining higher levels of efficiency through all cycles. One such strategy is using data analytics to enable condition-based monitoring (CBM). “We’re working with our original equipment manufacturers to further improve uptime by leveraging core competencies, condition-based monitoring and maintenance services,” Ms Bonno said. In December, Transocean signed two 10-year service contracts, with Cameron and Schlumberger, for the management of risers in the Gulf of Mexico and of pressure-control equipment on nine Transocean rigs. 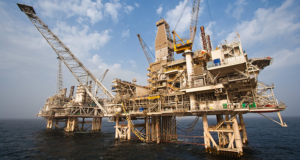 These contracts were followed in January by the announcement of a contractual service agreement, under which GE Oil & Gas will provide condition-based monitoring and other maintenance services for pressure-control equipment on seven Transocean rigs. 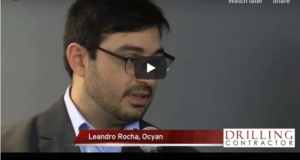 Further, Transocean has developed what it calls performance dashboards, which take a data-driven approach to improving processes in order to improve efficiency. 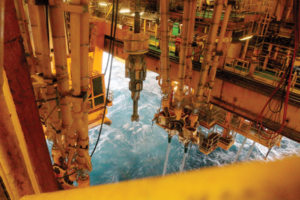 “We can now sensor our rig equipment and break down tasks that we spend most of our time doing – like tripping and connecting – on a second-by-second basis,” Ms Bonno explained. Exploration drilling costs have fallen by 50% and development drilling costs have fallen by 30% over the last 2 years. The number of offshore exploration wells drilled is expected to increase by about 14% this year, going from 215 drilled in 2016 to 250 in 2017. Many floaters and jackups are earning less than 50% of what they were making pre-downturn. Full-cycle returns on exploration wells are expected to reach an average of 11% per well, up from 3% in 2014. 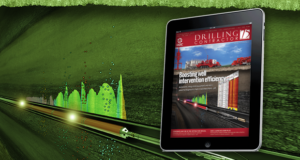 If the drilling industry continues to transform itself into a leaner enterprise, it could reach full-cycle returns up to 15% per well by 2020. The average total depth of offshore exploration wells fell from 13,450 ft in 2013 to 11,150 ft in 2016. So far, results have been encouraging. In Q2 2016, when the performance dashboards were still in the process of being implemented, the company’s total revenue efficiency was 97.8%. In the second half of the year, Transocean recorded over 100% of revenue efficiency, Ms Bonno said. While innovative and data-driven initiatives, such as these, signal positive impacts for the future, Transocean, like its peers, recognizes that market conditions will remain challenged in the near term. The market remains highly competitive, and the only new contract opportunities are smaller, well-by-well programs. Transocean’s total fleet utilization fell from 65% in December 2015 to 45% in December 2016, and no meaningful improvements are expected until 2018 at the earliest. Atlantica’s Delta semi-tender assist rig was delivered in mid-2016 and began working for Total in the Congo in September of that year. It was designed specifically for development drilling on the Moho Nord project. The contract duration is 3 1/2 years. 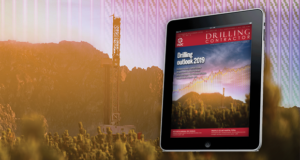 For smaller drilling contractors like Atlantica Tender Drilling, finding a niche in long-term development drilling can be a way to shelter itself from the pains of the downturn. 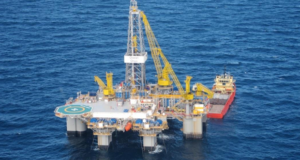 The company has a fleet of three tender-assist rigs, consisting of one barge tender and two semisubmersible tenders, that were built specifically for development drilling programs in South America and West Africa. Two of the semi-tenders, which remain under long-term contracts through 2018 and 2020, were built to work on tension leg platforms in benign weather environments. They were also designed drill wells in deep waters where operators prefer to have a dry tree design rather than opting for a subsea tree development, Atlantica COO Mike Cadigan said. Atlantica’s Beta semi-tender assist rig is on a 1,500-day contract with Petrobras that began in March 2014. 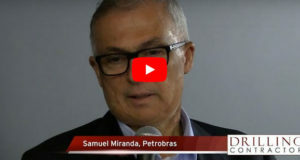 The rig is currently warm-stacked in Brazil because Petrobras has paused drilling to complete geological evaluation work, but the rig is still on contract and is set to begin development drilling again mid-year. “These are long, 180-day wells. 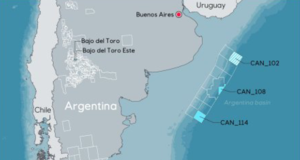 We’ve drilled three of them in Brazil so far, and there are plans to drill at least two more,” Mr Cadigan said. The company’s other semi-tender assist rig – the Delta – was delivered in mid-2016 and began working for Total in the Congo in September of that year. It was designed specifically for development drilling on the Moho Nord project in the Moho-Bilondo license, approximately 75 km off the coast of Pointe Noire. The contract duration is 3 ½ years. OneSite and Digital Rig Solution are registered terms of Noble Corp.